Dr. Chen has been the executive advisor at Scan since 2011. His efforts here helped make Scan one of the model companies in the area in terms of occupational health and safety, corporate social responsibility, and environmental consciousness. 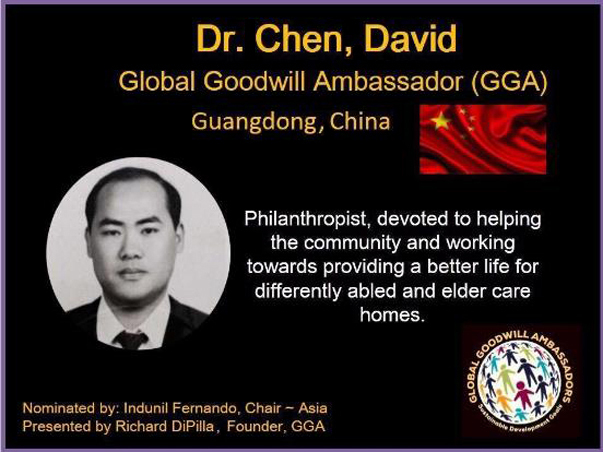 Today he has been named a Global Goodwill Ambassador for his ongoing efforts in helping local orphanages, nursing homes, and programs for helping the handicapped by GGA. We are proud to have him as part of the Scan team.